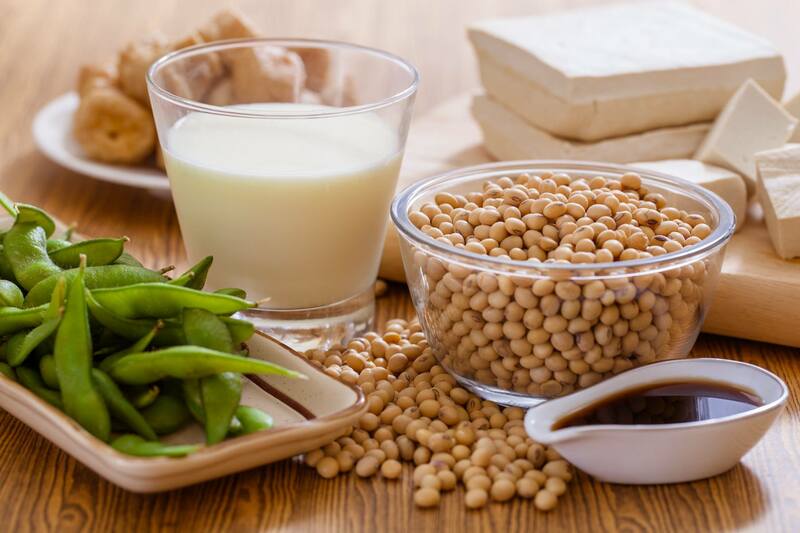 𝐇𝐞𝐚𝐫𝐭 𝐇𝐞𝐚𝐥𝐭𝐡 – Adding foods to your diet that are rich in soy may help control and improve blood pressure, cholesterol and vascular function. 𝐌𝐞𝐧𝐨𝐩𝐚𝐮𝐬𝐞- Soy may help reduce symptoms of menopause, such as hot flashes. 𝐁𝐫𝐞𝐚𝐬𝐭 𝐜𝐚𝐧𝐜𝐞𝐫- Research indicates that soy is safe for breast cancer survivors when eaten in amounts of 2 servings per day. It has not yet been made clear whether soy has a role in reducing breast cancer risk or improving rates of survival from breast cancer. Taking soy supplements is not recommended as they may contain a concentrated source of plant estrogens. In addition to these benefits it is also a great source of plant-based protein, and you don’t have to be a vegetarian or vegan to enjoy this alternative food! Soy can provide a variety of vitamins, minerals, and antioxidants that you may not be getting from meat. 𝐖𝐡𝐚𝐭 𝐤𝐢𝐧𝐝 𝐨𝐟 𝐟𝐨𝐨𝐝𝐬 𝐚𝐫𝐞 𝐫𝐢𝐜𝐡 𝐢𝐧 𝐬𝐨𝐲? Tofu, edamame beans, soy beverages, soy milk, miso and soy beans are all great options to start incorporating into your diet!